Hyundai’s performance at the Paris Motor Show 2018 will take center stagein his appearance at the Paris Motor Show . In addition to the i30Fastback N, the Koreans show the Showcar i30 N option, which shows how the compact athlete should be even more dynamic. 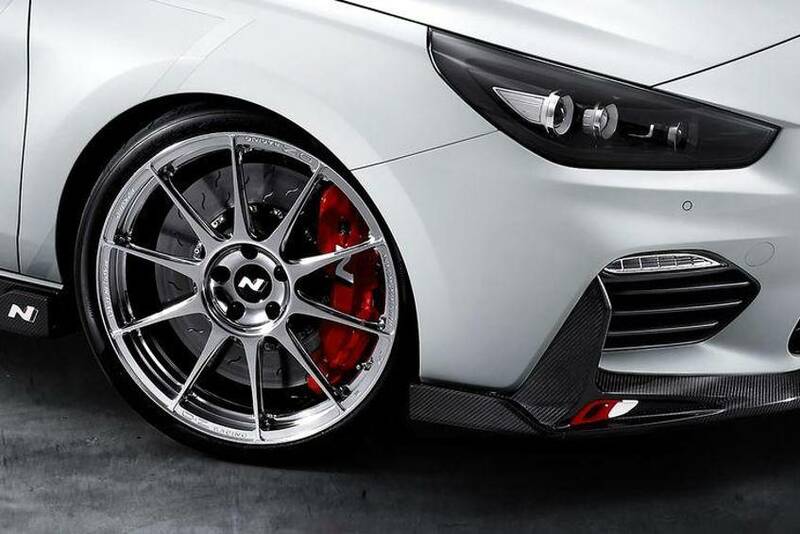 The Hyundai i30 N option presents a total of 25 components, which should underline the performance competence of the Korean Dynamiker even more. These are on the one hand to aerodynamic parts: A modified front bumper, a rear bumper with diffuser and a lushly dimensioned rear wing on the roof edge miss the i30 N a much more aggressive look than the production model. Even the bonnet with the eye-catching air outlets has the option variant ahead of the production cars. In the show car also rotate 20-inch wheels with sports tires; in standard N, it’s either 18 or 19 incher. Also inside, the i30 N option gets ready for the racetrack. 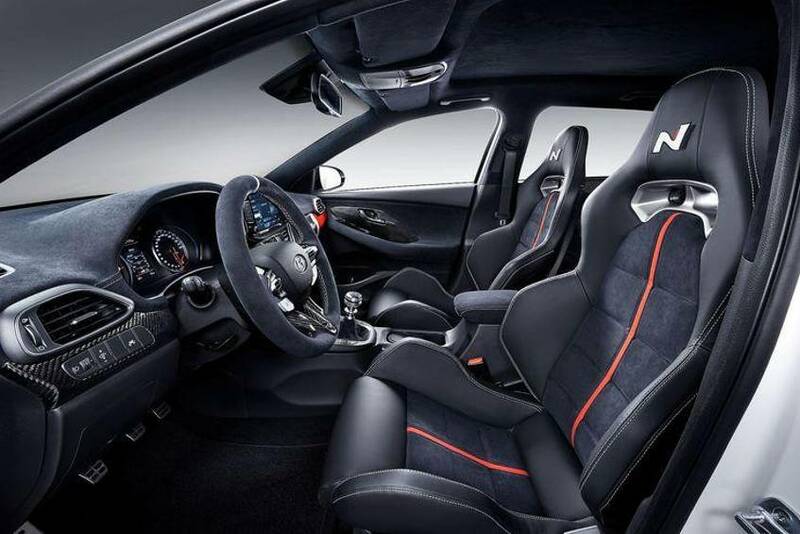 The most striking feature is the bucket seats with racebelt bushings, but connoisseurs will also discover the carbon applications and the Alcantara, which is processed in some places. Nothing changes under the sheet metal of the showcars. In the bow sits still a four-cylinder turbo gasoline engine. 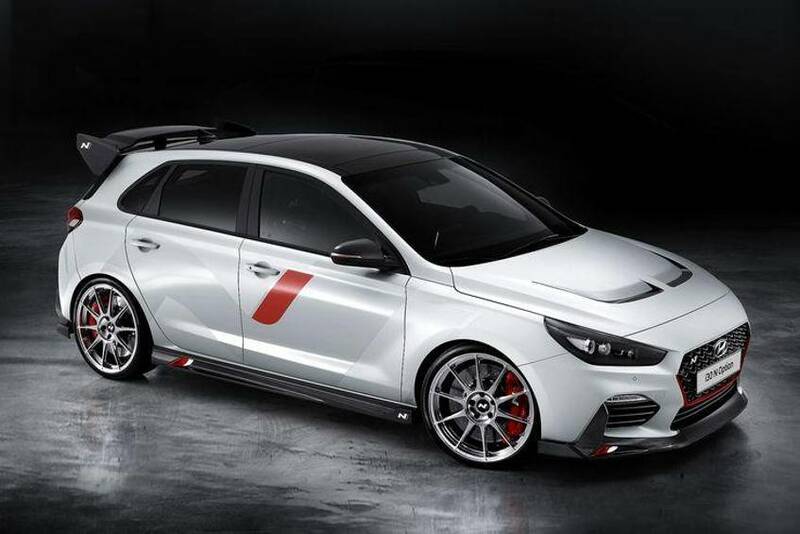 Depending on the version, the two-liter engine delivers 250 or 275 hp (i30 N Performance). In both cases, the maximum torque is 353 Newton meters, but can overboost briefly increase to 378 Newton meters. Add to that the sport suspension with adaptive dampers, the Launch Control and many electronic adjustment options. In addition to the i30 N option, Hyundai’s Paris booth will be joined by the i30 FastbackN, the 11.5 centimeter longer, three centimeters flatter and coupé-like version of the compact sports car. This year, interested parties will have the choice whether they prefer the i30 N with a more useful hatchback or more elegant fastback . And the attachments presented by the i30 N option are sure to be available soon.